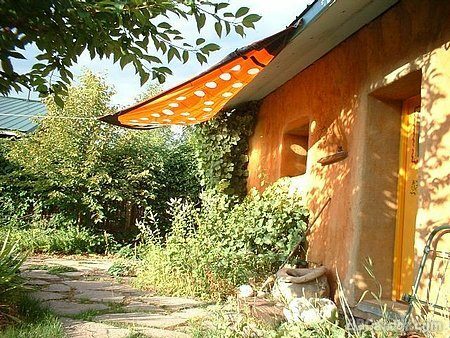 Strawbale cottages, a cool respite on hot summer days. Opens onto private flower, herb and vegie garden. Located on the Slocan River. Travelers cheques or cash only please. No city lights to interfere with brilliant night sky.